NO NEED TO EXCAVATE OR TRANSPORT CONTAMINATED SOIL! An effective, environmentally friendly and natural way to remediate oil spills in soils. Easy to use, cost-effective and useful on a wide variety of hydrocarbon sources such as: hydraulic, diesel, and engine oils. Eliminates the need to excavate or transport contaminated soil! A natural, green, cost effective alternative using microorganisms which exist in the surrounding environment. Bioremediation is the process of using microbes to rid pollutants from a contaminated site. Microbes are added directly to the site eliminating the cost of removal and/or disposal of soils or water. Oil contains hydrocarbons, which are made up of varying amounts of carbon and hydrogen. Microbes are introduced to the contaminated area, which then begin feeding on the hydrocarbons. The microbes break apart the hydrocarbons and combine them with oxygen to create water and carbon dioxide. Whether you have a spill on site or need to take preventative measures, Microbiate’s innovative kits can help you. All kits contain a unique bioactive additive of safe naturally occurring bacteria which can biodegrade a wide variety of hydrocarbons from fuel or oil spills. Our kits also contain adsorbent pads, gloves and a garbage bag, everything you’ll need to treat a new or preexisting oil spill. Our smallest kit is compact and fits neatly behind a truck seat in it’s puncture proof bag ensuring maximum shelf life. Click here to download our product information package for a more detailed look at our kits and their applications. Biological Removal of Odor and Toxic Effects of a Wide Range of Oils Including but not exclusive to: Fuel Oil, Hydraulic Oil, Engine Oil or Mixed Unknown Oil Composites. Using EPA testing our product has been rigorously tested from the lab to the field and shows complete effective results in decomposing hydrocarbons in soils on a wide variety of spills. 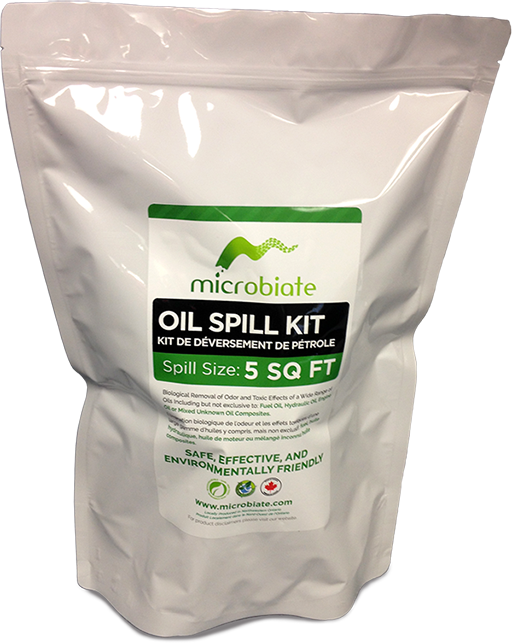 Microbiate’s oil spill kits work equally as fast on a wide variety of oil. Here we show mixed hydraulic and engine oils at a road side spill which were treated and within just 12 days more than half the oil was already degraded. 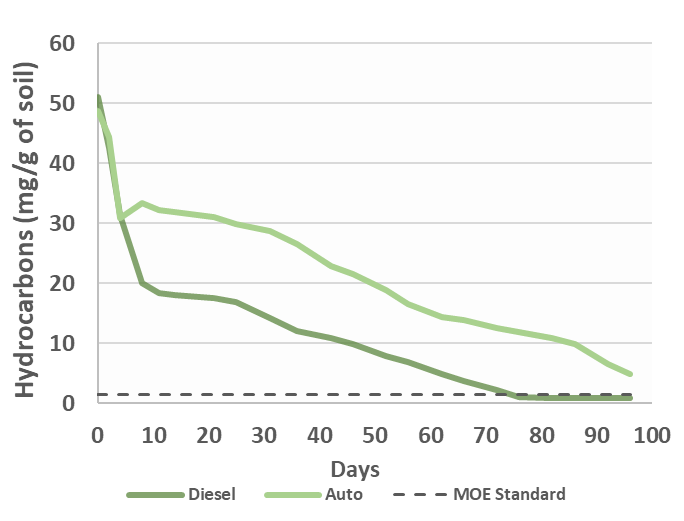 Pilot studies on standard engine oil and diesel oil in soils show that our product can degrade nearly half the oil contents within two weeks. 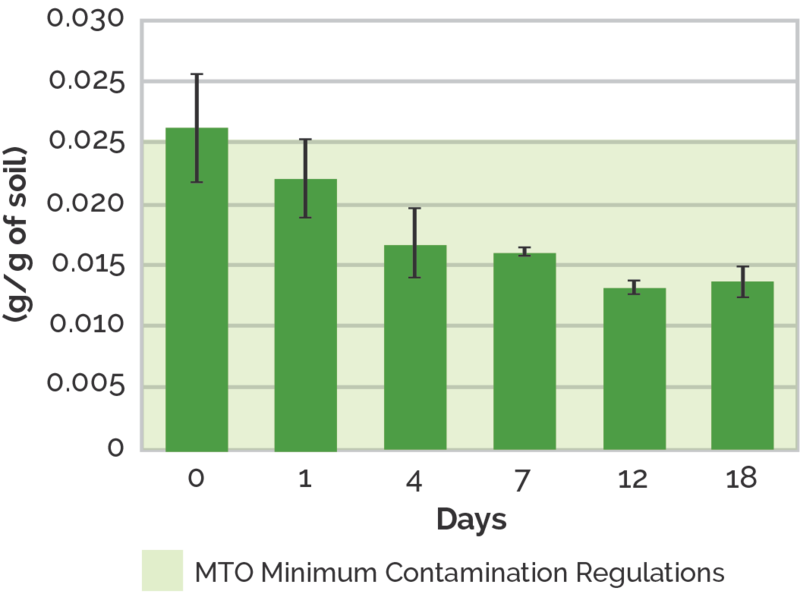 A forest contractor successfully used the Microbiate Spill kit to treat contaminated soil. 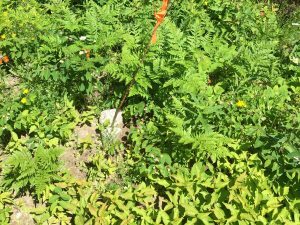 The regrowth of vegetation shows the effectiveness of the remediation. Absorb any excess oil using the provided oil adsorbent pads. After use, place in provided garbage bag. Rake the top 2-6 inches of soil according to spill depth. Open “Package 1” and disperse evenly over affected area. Open “Package 2” and disperse evenly over the affected area. 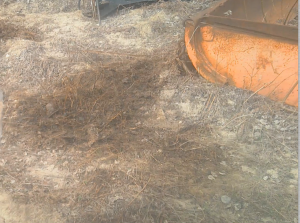 Rake into the spill to appropriate depth and saturate with water until ground is moist to appropriate depth. Check using your rake. Interested in becoming a reseller? Fill out our form!